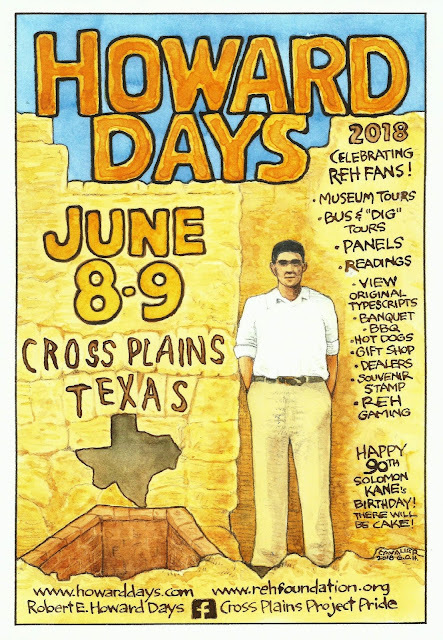 Robert E. Howard Days: It's Time for Howard Days! It's Time for Howard Days! Howard Days is THIS WEEK! Starting on Thursday the 7th with the Robert E. Howard Museum open from 2 to 4 pm, we're packing a passel of REH activities into Friday and Saturday for your listening, viewing and enjoyment pleasure. 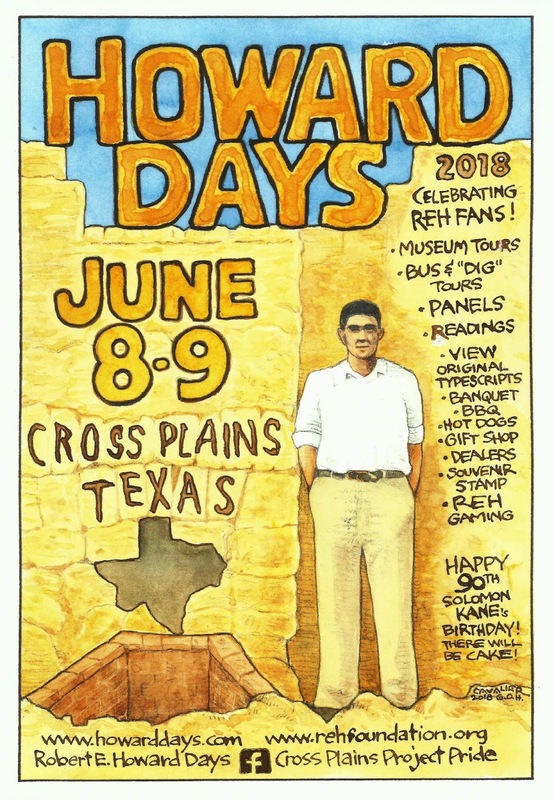 Check elsewhere on this page and the tabs above for complete information, but here are a few gentle reminders about The Best Two Days in Howard Fandom. When you show up in Cross Plains, the main meeting area is the Alla Ray Morris Pavilion adjacent to the Robert E. Howard House & Museum. Folks gather here for all the pertinent and extemporaneous announcements, to have a cool drink and enjoy the camaraderie of fellow Howard fans. This year, folks gathering at the Pavilion will be able to view the ongoing REAL archaeological dig going on in Howard's back yard. 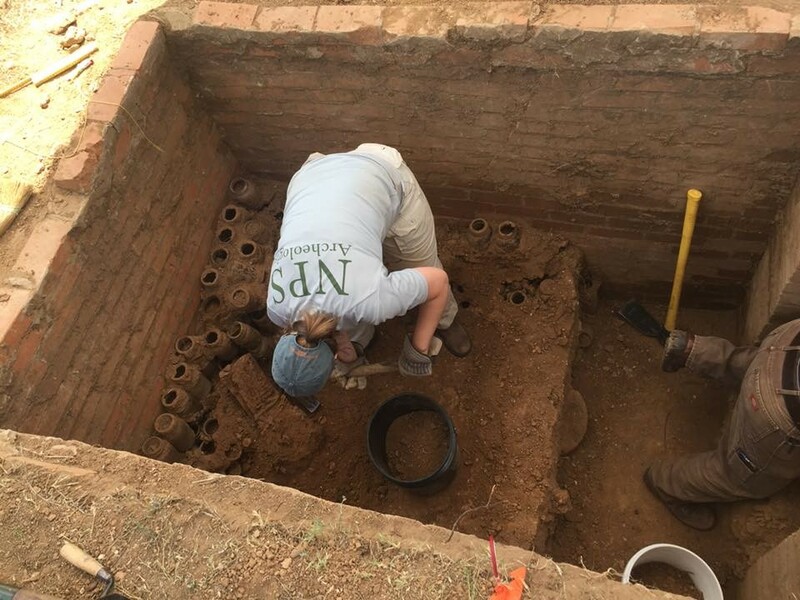 Archaeologists Jeff Shanks, Thadra Stanton and Heather Young will be on hand to tell you all about it! With one exception, all the activities at Howard Days are presented at no cost - FREE! Donations to Project Pride are welcomed and appreciated, of course. Parking is free, admission to the House and all tours and panels is free, the Hot Dog Lunch on Friday and the Saturday BBQ is free - and best of all, the Robert E. Howard fellowship and friendship afforded by Howard fans is FREE! Temperatures are scheduled to be hot and the humidity will be high, so take care of yourselves while enjoying Howard Days. Sunscreen, bug spray, light clothing and lots of water will keep you cool and comfortable while you enjoy all the activities. The House is air-conditioned of course, to cool you off as you take the tour or shop in the Gift Shop. Don't forget that the Cross Plains Public Library will be open Friday and Saturday and various Howard scholars and fans will be on hand to show you some of the original Howard typescripts and pulp magazines from the Library's collection. There will also be some Conan role-playing gaming and board gaming going on there, so check that out as well. All in all, a great time is in the works. And spur-of-the-moment visitors will have no problem jumping right in to all the fun! So, y'all come - see you at Howard Days!